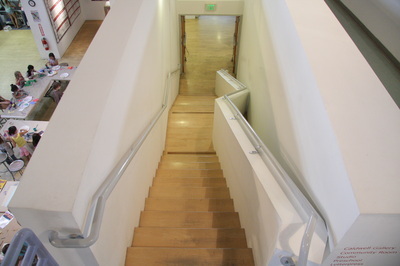 Instituted Angles of Path and Display challenges the ultra-functional design of the Armory’s main stairwell. 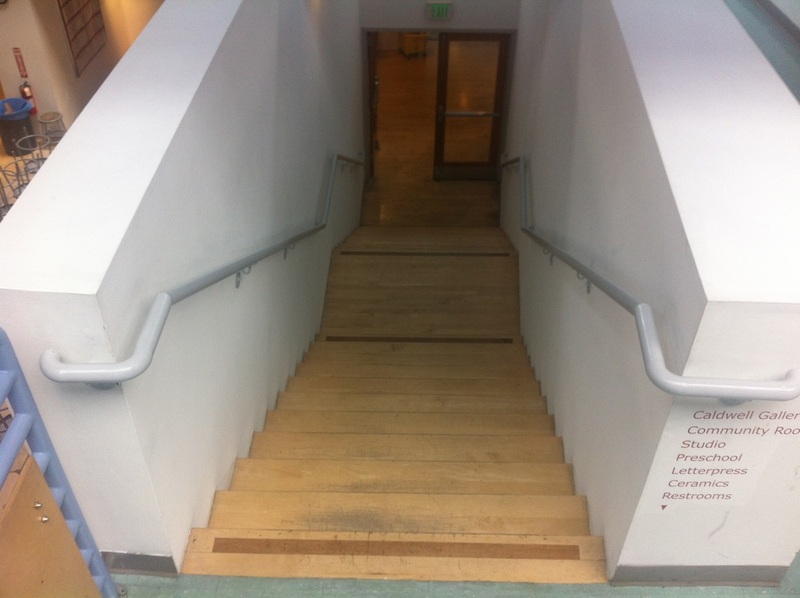 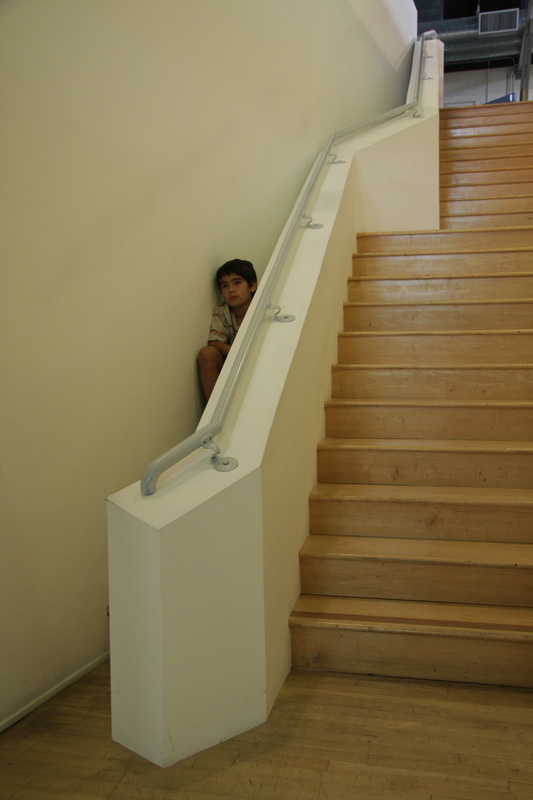 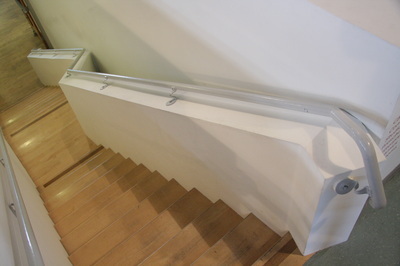 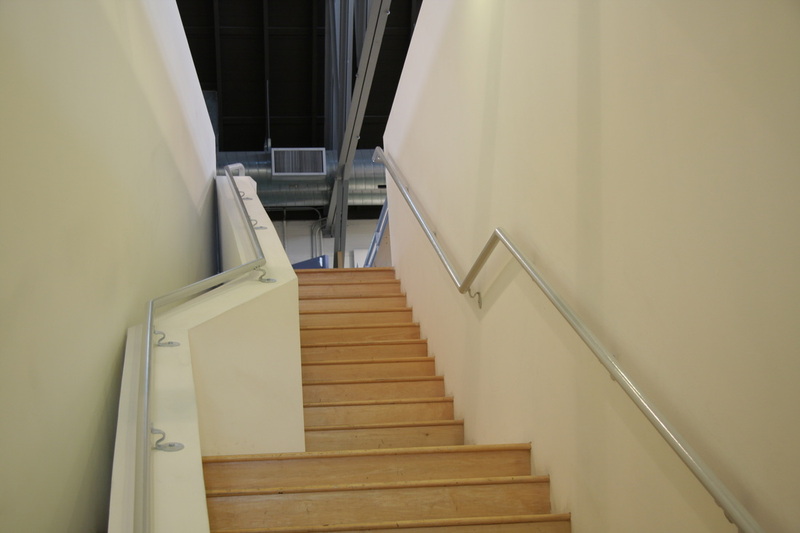 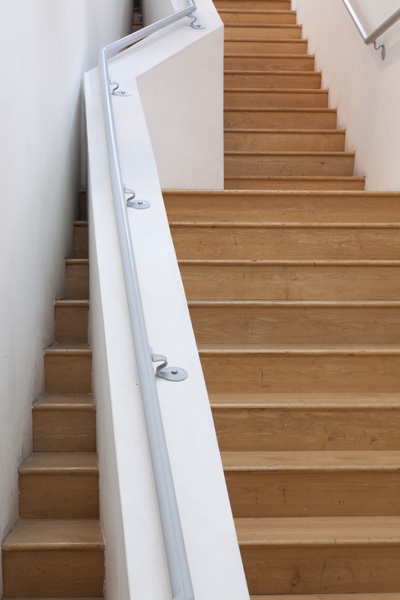 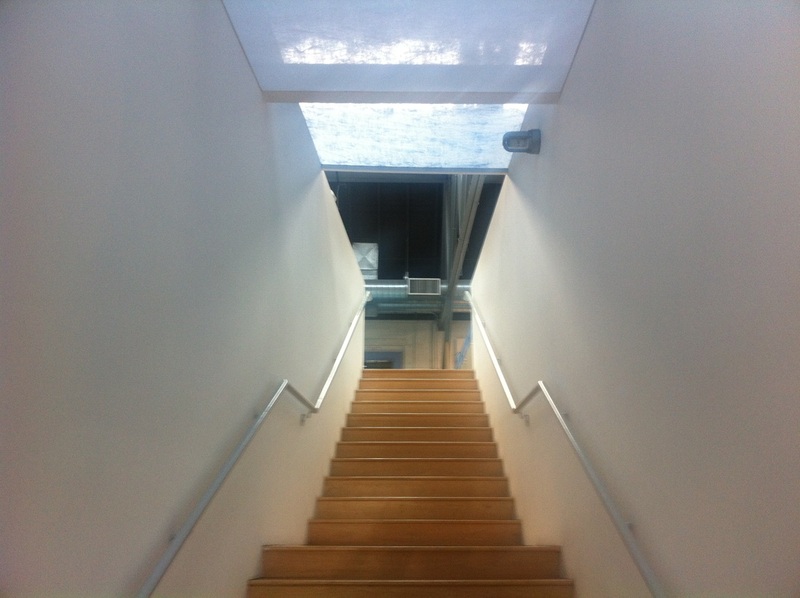 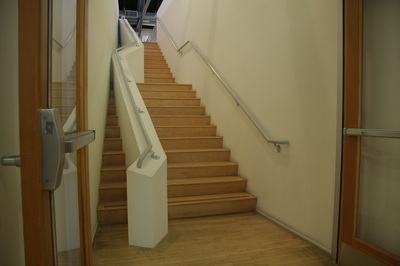 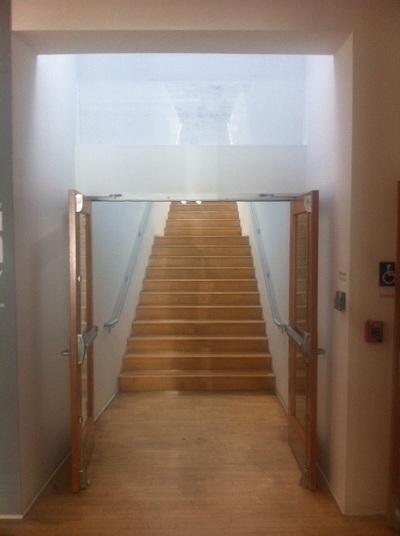 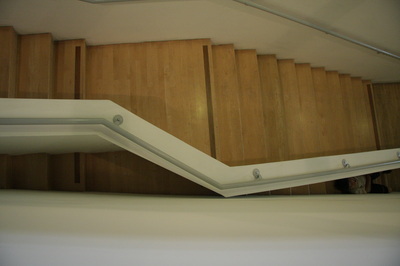 Page has removed one of the stairwell’s two large metal handrails, turned it 90 degrees, and mounted it in the middle of the space on a pedestal-like structure that follows the crooked trajectory of the stairs and the landing. This simple gesture both highlights and alters the existing framework and prescriptive design of the space, which remains fully functional although visually distorted. 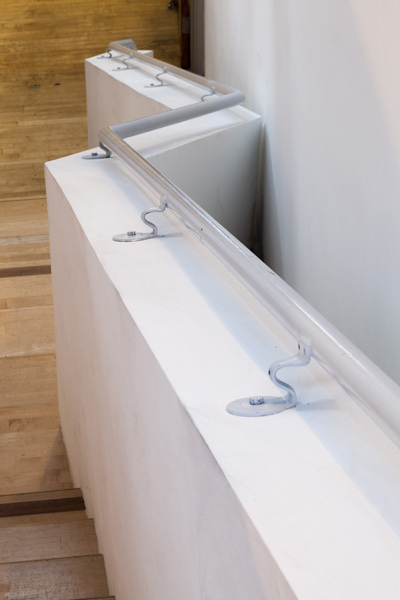 Central to Page’s practice is an interest in engaging elements of perceived and given space in built environments, often through objects dismissed as peripheral or incidental. 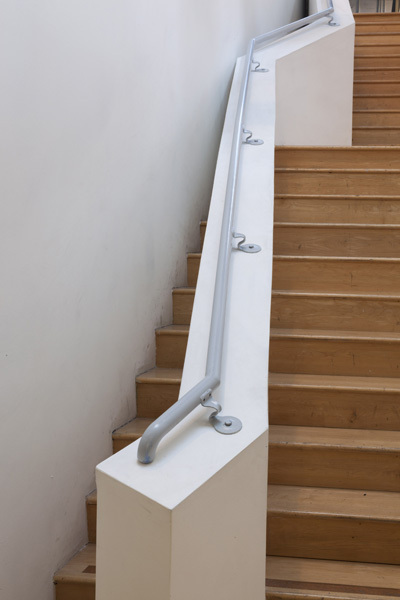 Page acknowledges that railings generally can serve two functions: one for handrail support, and the other as a boundary. 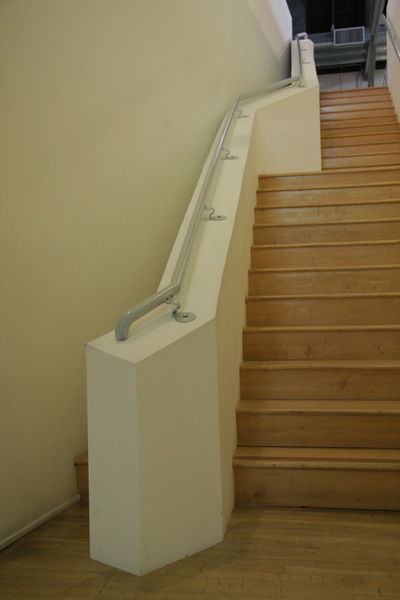 By turning a railing on its side and using it to bisect the Armory stairwell, Page shifts our point of view what a handrail is for. 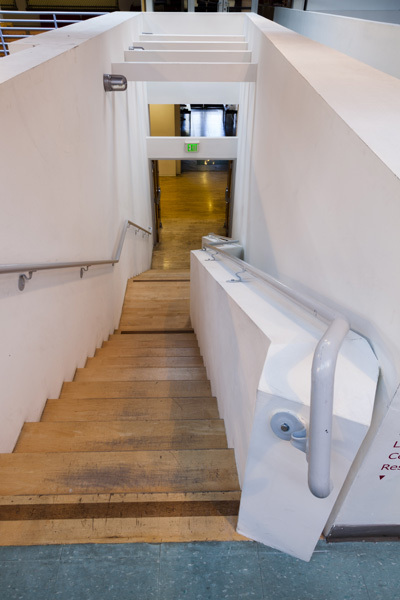 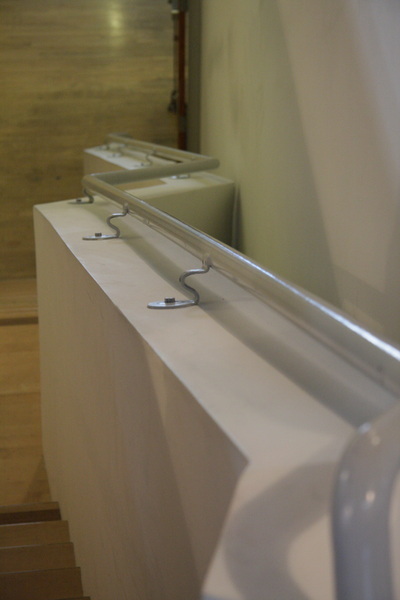 Page has created a topography of the climber's passage and an opportunity for visitors to become aware of their physical and psychological relationships to the architecture by negotiating passage (stair) vs. path (boundary railing). 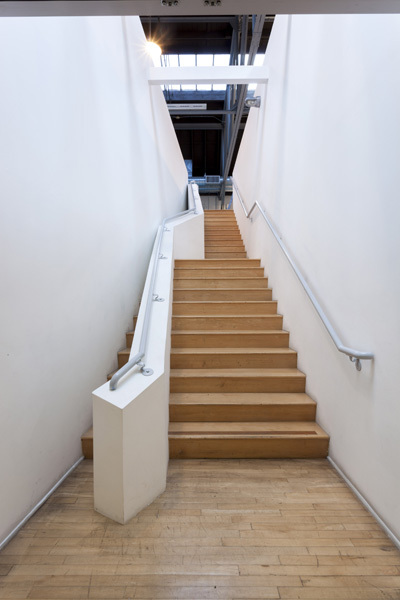 Familiar visual and spatial rhythms are interrupted, inviting the viewer to reconsider the function of the space – and possibly, the artist hopes, to find more potential than what it is programmed for.